Read it here at 1up. Not especially happy with how it turned out, writing wise. can be seen as an improvement over Empire in many ways. The attrition and replenishment mechanics are very well done and there are finally historic battles to fight. And the AI is better, though still not perfect. I get very annoyed when great content is locked behind walls. I don’t want to have to fight Lodi before I go to Waterloo or Borodino. I want to lead France to victory over the kingdoms of Europe in my first campaign, not after I’ve already fought two smaller ones. This is like Civilization only allowing you to play as the Americans until you’ve defeated a nation in battle. Then you can eat its heart and lead it in your next game. Tin Soldiers: Alexander did this with its battles and I hated it then, even though I loved the game. People play Napoleonic games to play France. This is not new for Creative Assembly. Both Rome and Medieval 2 forced you play a campaign (or edit a file) before unlocking other nations. But there you had more choices and the stars of the story (Rome and Western Europe) were available to begin with. The review is a positive one – I will play it again, I think. Rob Zacny likes it more than I do, Tom Chick likes it much less. 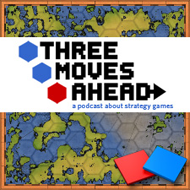 Maybe we can find some time to talk about it on Three Moves Ahead. But not this week. Here’s what annoys me: buying a game at full retail, finding it to be broken, and then being told by the vendor a year later that I can play the game they promised me back then by paying them again now. Hearts of Iron 3 was broken as well, but at least Paradox aren’t charging me $35 for the patch. You know? Oh boy, did this ever get my goat. The kicker is my game crashed midway through both attempts at Lodi. I’m not sure what to make of Napoleon. It’s got positive feedback from the Total War community. I guess the disappointment of Empire made all the minor tweaks and improvements in Napoleon standout just that much more. Reviews have been weaker though when it is an improved game compared to Empire which got great reviews. Is it fair to say that Napoleon has a bigger impact on fans of the series than say…someone with a passing interest? Seriously? I haven’t checked out The Org for a while. I can’t remember the last time a TW release got positive feedback from the community. Apparently Histwar: Les Grognards has launched. It would be interesting to see a side by side comparison of how each handles the historical material, and a discussion of gameplay differences/similarities. Total War is sort of a Hollywood take on history, so I wonder if Histwar is more accurate or fun even. I’m kinda puzzled by the “content locked behind walls” complaint. I *like* having to progress to stuff. It used to be the whole idea of a game: you start off at level 1 and you progress to the big stuff later. In the first few levels of Red Alert you could build…. riflemen. But you didn’t get people complaining that the good content was locked away… you had to *reach* the content. The one that I don’t understand is having a difficulty locked until you finish the game in a lower difficulty. That is illogical to me; let people decide for themselves how challenging it should be. But I am definitely in favour of games keeping stuff for you when you get further in. They should be the apex / climax of your experience of the game… I didn’t want to buy N:TW, jump into Waterloo, then quit afterwards. Waterloo was the culmination of decades of tumultuous change and warfare, I want to feel like I had to go on some sort of journey before I get there. Just FYI but if you start a Napoleon campaign, once you’ve actually sat through the cutscene and gotten to the strategic map, the next campaign in order is unlocked. This will probably work for the battles, but i haven’t tried.